True confession, I don’t fly well. My nerves get to me, and I’ve convinced myself that I can’t sleep on a plane — not a good combination. Long haul flights are physically and mentally demanding. The combination of boredom, dehydration (my personal obsession), sleep deprivation, and worry about deep-vein thrombosis, is enough to keep me at home. I needed a strategy to manage my in-flight experience. 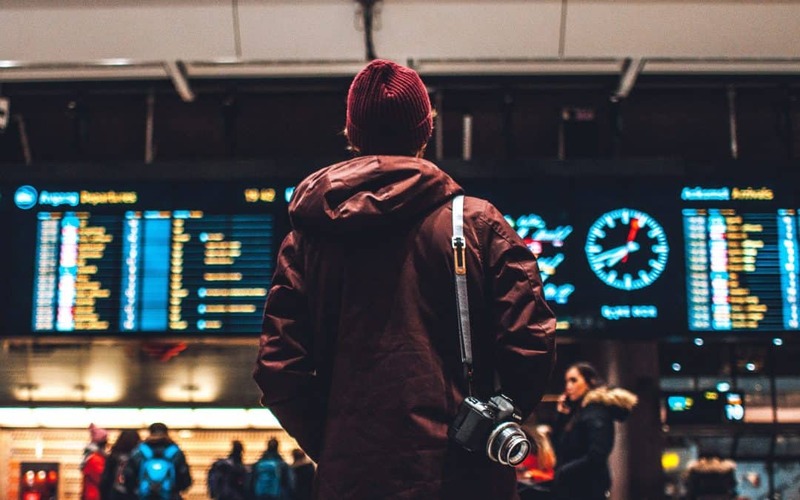 So, using my own knowledge and information gathered from a foremost expert on long-haul trips (my husband), I put together a list for staying healthy and sane on long flights. Because sleeping on a plane is hard, but arriving at your vacation destination without sleep is even harder. Here are a few tips to help survive the red-eye and make the most of your first day of vacation. Avoid both alcohol and caffeine if you want to sleep on the plane. Caffeine is obvious, but alcohol is just as bad. Alcohol disrupts your sleep and makes jet lag worse. As a rule, carbohydrates make you sleepy, while proteins and fats keep you awake. Bananas and milk are especially useful sleep-inducers. Staying hydrated helps prevent jet lag, but also may require many trips to the WC (a nightmare if you’re in the middle or window seat). Moderation is the key. Drink enough to stay hydrated without completely ruining your chances to fall asleep. Consider adding an electrolyte powder to your water for a boost of B and C vitamins. Can’t hurt, might help. Long layovers during overnight flights are a drag; try to avoid them if possible. Unless you’re starving, avoid eating during the layover and head right to the gate. Sit close to the gate, wrap your bag around your wrist (or somehow protect it from theft) and lean back for a quick nap. Ask the gate agent to make sure you don’t sleep through the flight’s departure. Electronics will keep you awake and make it harder to fall asleep. Bring an eye mask, earplugs, and a neck pillow or head hammock (yes, that’s a thing). You may look a little silly, but who cares, you’ll be asleep. I suggest resetting your watch when boarding the plane on the last leg of your journey. Doing so helps your body and mind adjust to the new time zone (plus you’ll know how much longer you can sleep if you wake up mid-flight). If you arrive in the morning, try to have a full day before going to sleep. It’s hard, but it will make day two (and the rest of the trip) much more comfortable. I strive to stay awake until at least 7:00 pm on the first day. If you arrive during the night, go to the hotel and go to bed, but avoid sleeping late the next morning. You want to reset your internal clock as soon as possible for a great trip. Most of all, keep going. You’ll feel better in a day or two.